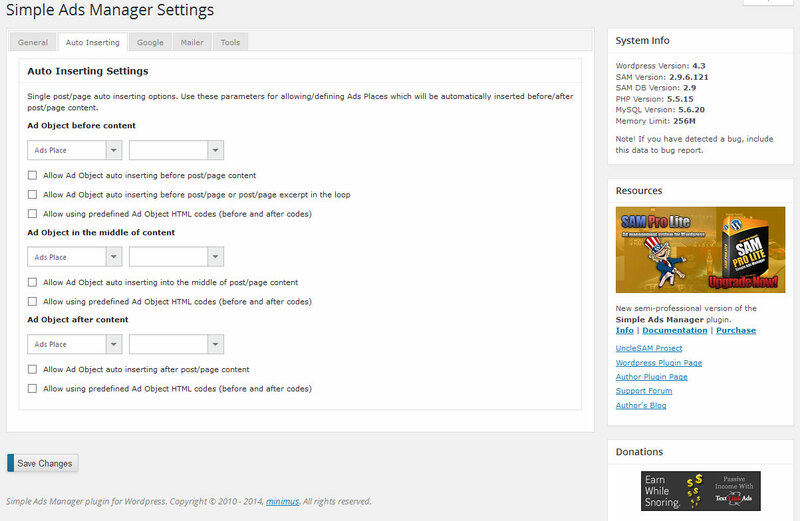 Minimum Level for the Menu Access – Who can use menu of the plugin. Minimum User Level needed for access to menu of plugin. 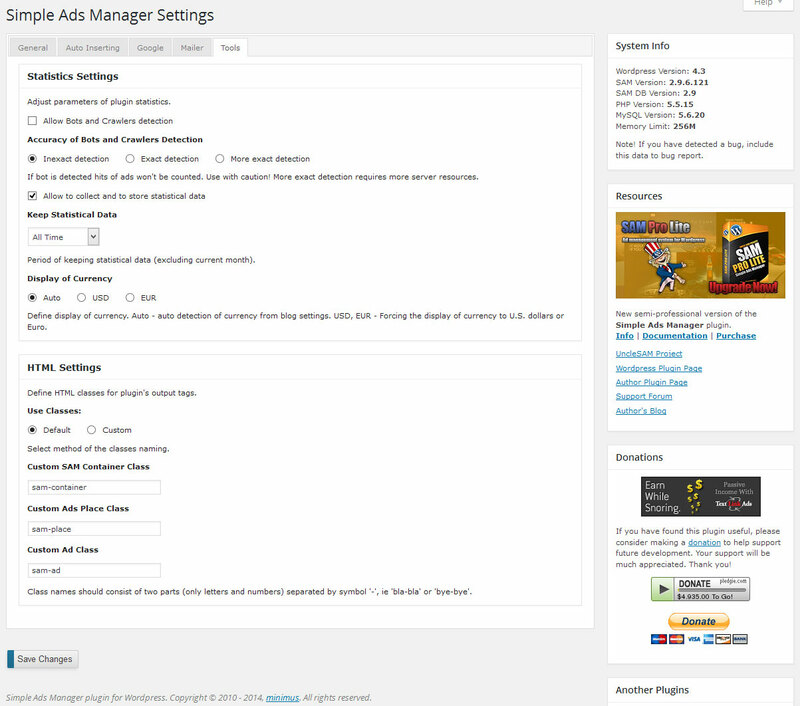 In any case only Super Admin and Administrator can use Settings Menu of Simple Ads Manager plugin. 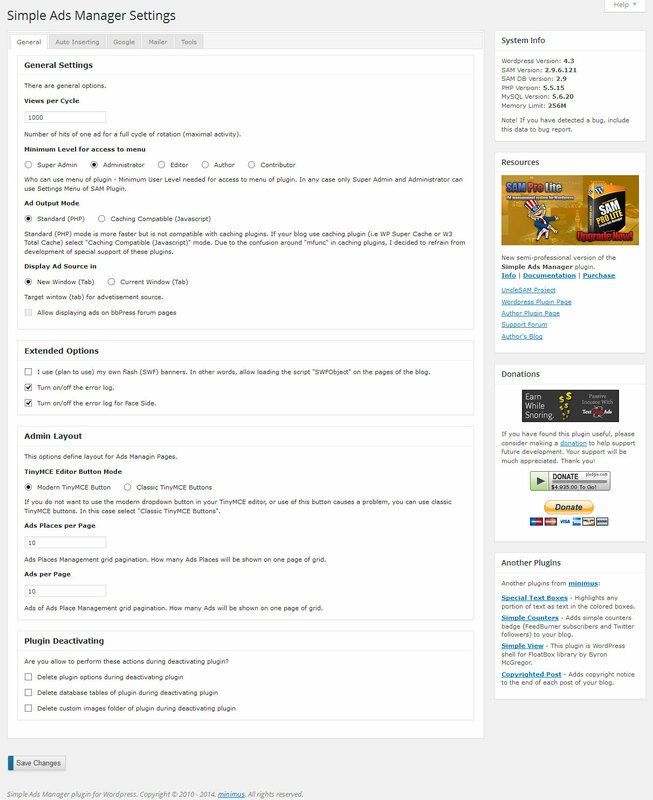 TinyMCE Editor Button Mode – Modern TinyMCE Button or Classic TinyMCE Button. If you do not want to use the modern dropdown button in your TinyMCE editor, or use of this button causes a problem, you can use classic TinyMCE buttons. In this case select “Classic TinyMCE Buttons”. 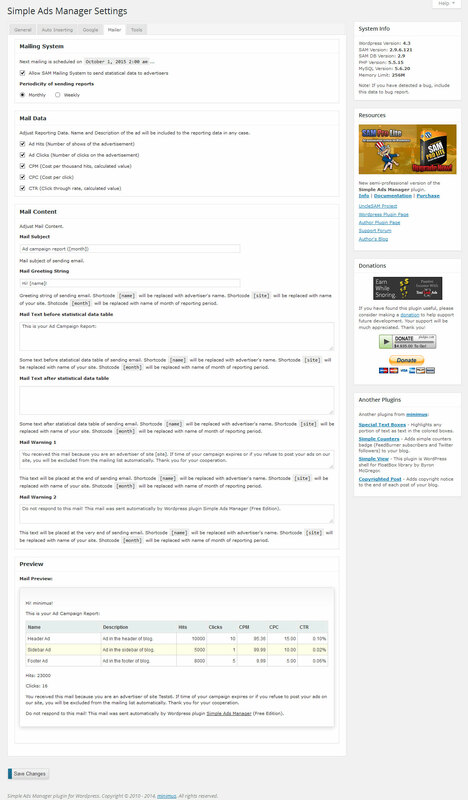 Ads Places per Page – How many rows of the items list will be shown on one page of the data grid. Ads per Page – How many rows of the items list will be shown on one page of the data grid. If you want to use predefined HTML tags check “Allow using predefined Ad Object HTML codes (before and after codes)” checkbox. Ad Object in the middle of content – select an Ad Object you want to display at the middle of content. Mail Warning 2 – This text will be placed at the very end of sending email. By default: “Do not respond to this mail! 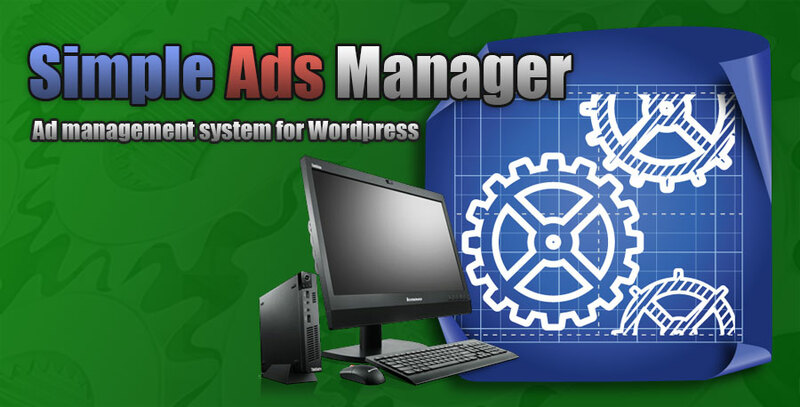 This mail was sent automatically by WordPress plugin Simple Ads Manager.”. Keep Statistical Data – Period of keeping statistical data (excluding current month). Keeping the data only one month is highly recommended. Hi i bought the Same pro lite. The clicks are not in the statistic when i click on the ad. Why? Hi! Default ad of Place or ads in set? Hi, my Problem is the statistic in the database. The database updated all the time the hits of the ads. 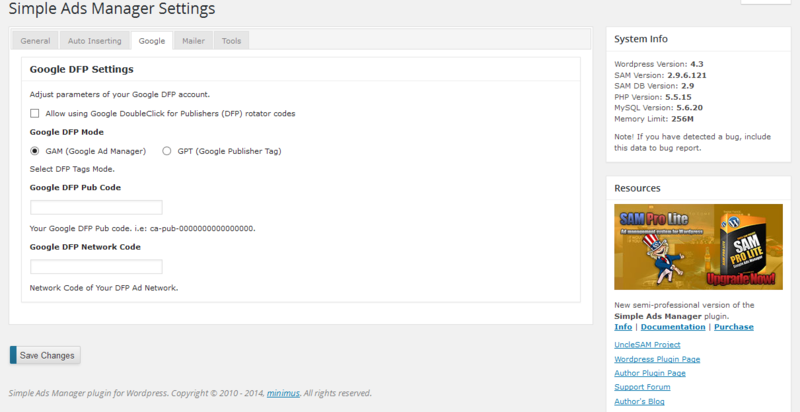 The Problem is a UPDATE-Queries auf die Tabelle wp_sampro_places_ads. Can you tell in details about your problem?